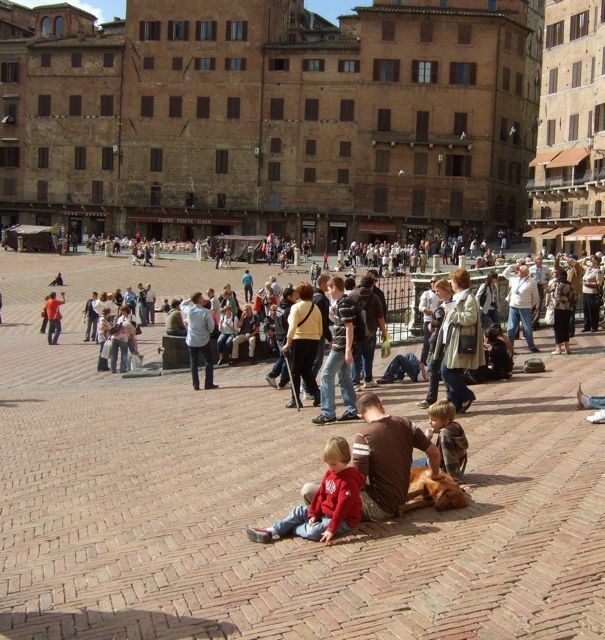 Il Campo – (Siena’s main square) They have a huge Palio horse race every year in this square. 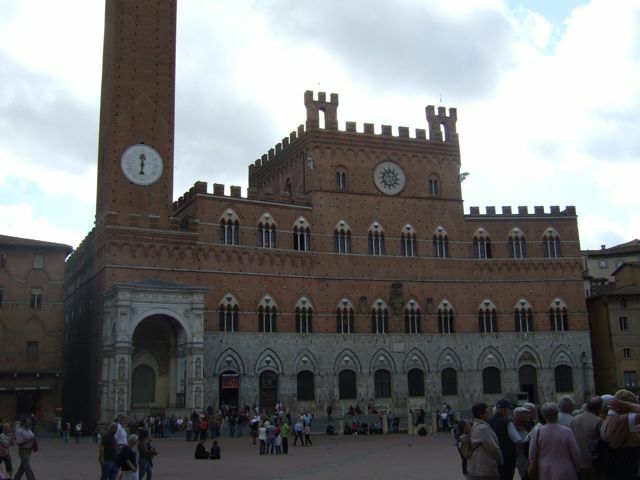 Siena’s Civic Center in Il Campo. 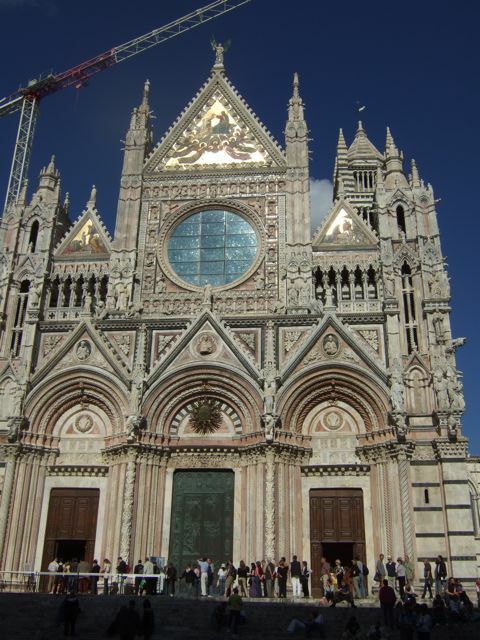 The Duomo in Sienna built in 1215. 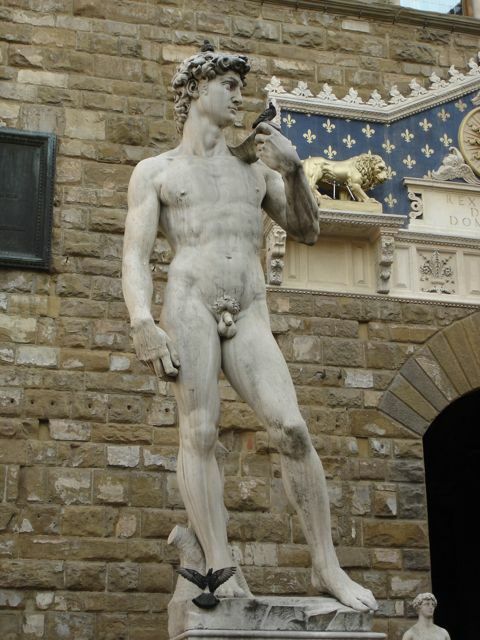 Inside there are a lot of Michelangelo & Bernini sculptures. Florence’s Duomo built 1300-1435. 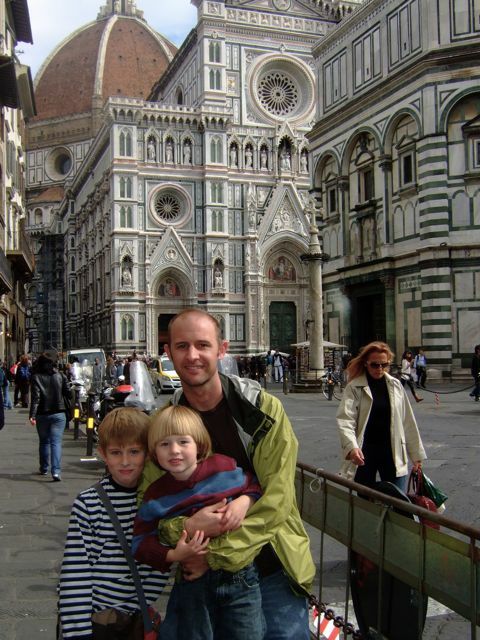 The Duomo was built with a hole in the top because no one knew how to construct a dome. Brunelleschi came along and saved the day constructing a dome. 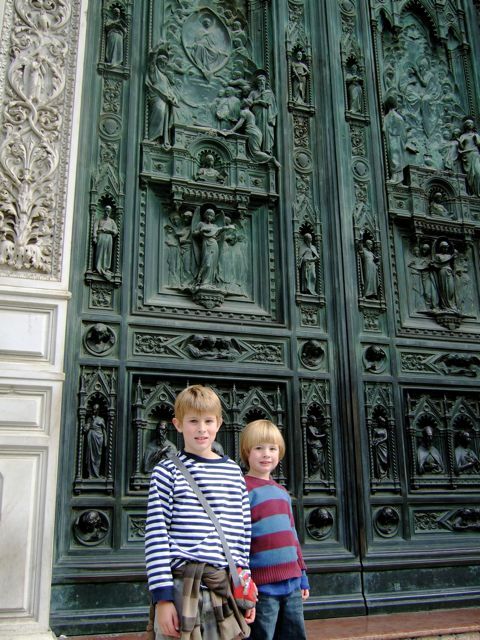 The boys standing outside the huge Duomo doors. 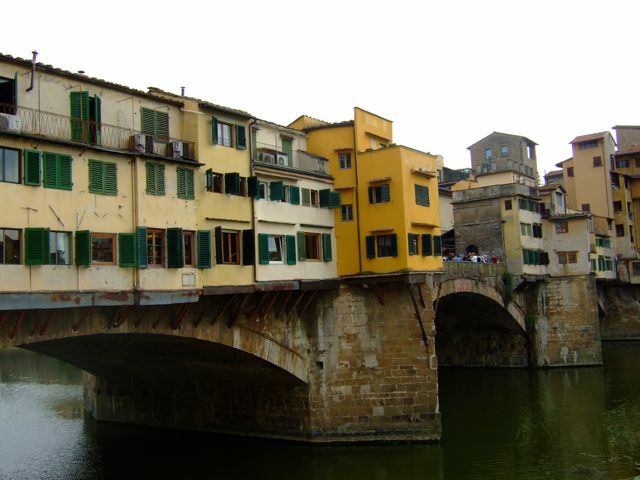 Florence’s Ponte Vecchio Bridge over the Arno River. Jonah trying to get some shut eye again. 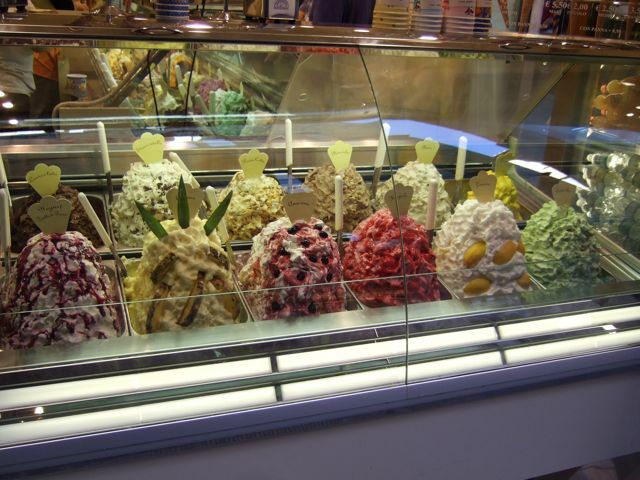 The Gelato looks super yummy, I wish you could bring some of that back to the States! Those doors were HUGE that the boys were standing in front of…and YES we know Jonah can slee anywhere now! More amazing pictures. How are ever going to want to come back to the states with all the traveling you guys are doing??? Does Jonah really fall alseep everywhere? I just found your blog through Amy C’s. It’s great! I’ve wondered how you world travelers are doing. Thanks for sharing your adventures. Have fun! 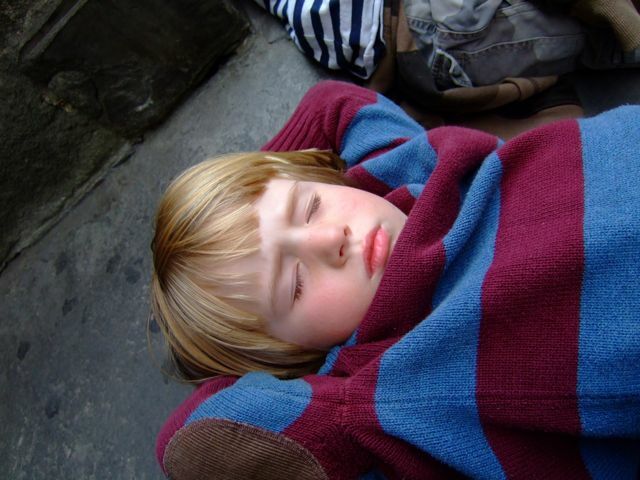 it is HILARIOUS how jonah just sleeps anywhere…i love it. great pictures, again! 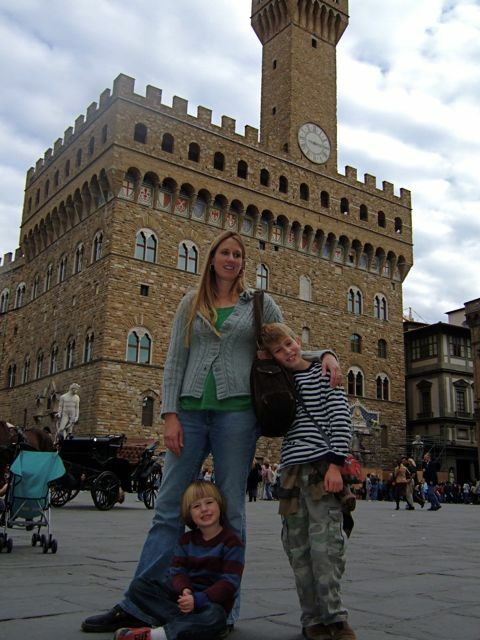 This brings back memories of when we visited these same sights with you, and ate gelato and yummy pasta outside the Vatican. We got that post card-thank you!! 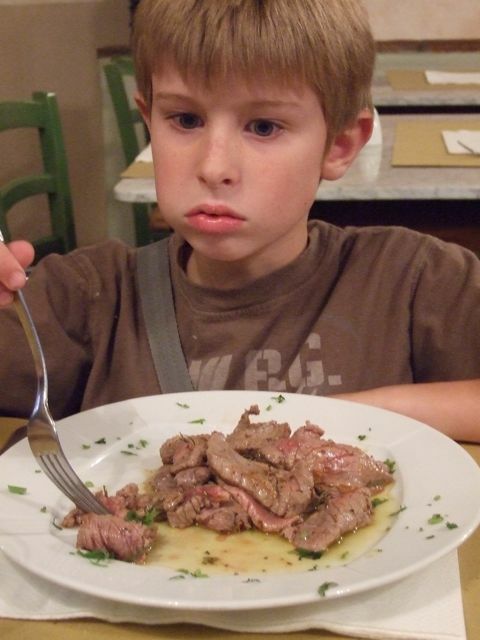 Thank you for sharing your travels so we can all enjoy….